I was walking through the Village of Pittsfod looking for visual representation of the atmosphere. This clock and the Building fit that objective. 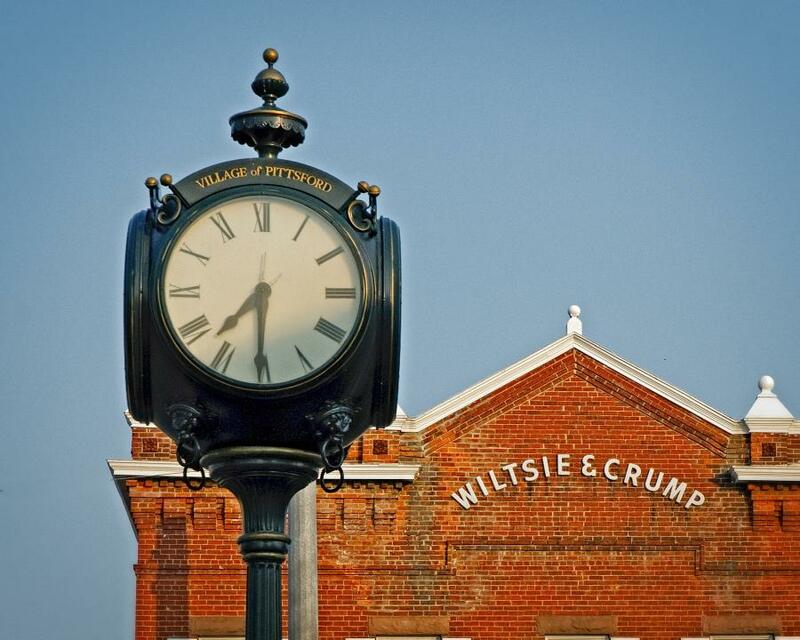 The round clock face and the names on a curve gave the scene an interesting composition.